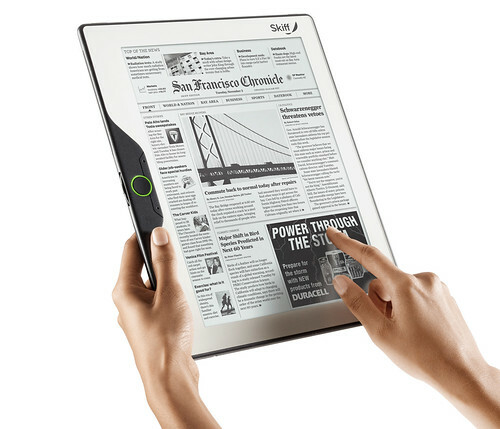 Another very interesting e-Reader having it’s coming out party at CES is the Skiff Reader. It’s focus seems to be with magazines and newspapers but of course works with e-Books as well. 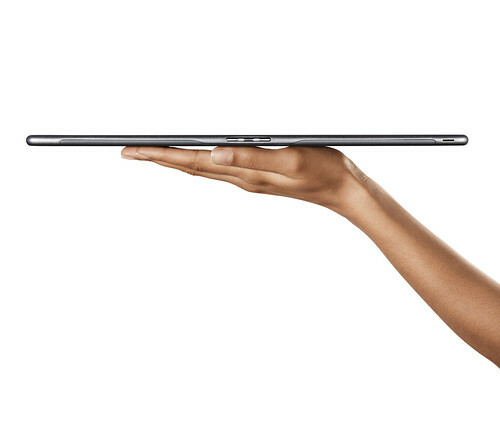 It looks really nice, has a flexible form factor with a touchscreen surface but be ready for a large footprint. Check out these photos to see why this e-Reader excites me. 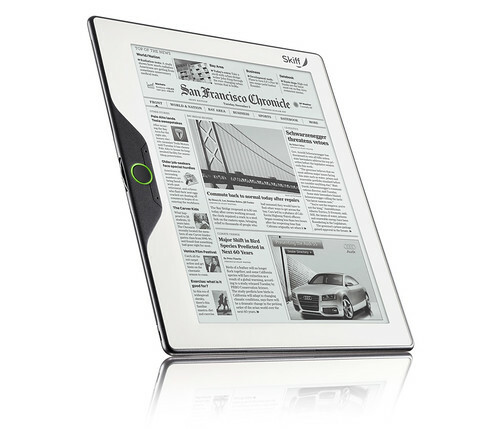 It’s similar to the PlasticLogic Que e-Reader and will compete with the Kindle DX. Now that I mention it, both of these devices seem to easily beat the Kindle DX (not necessarily the Kindle 6”) with the feature-set as well as the form factor. The wireless will be provided by Sprint, will also have WiFi and the device will be sold in Sprint stores. 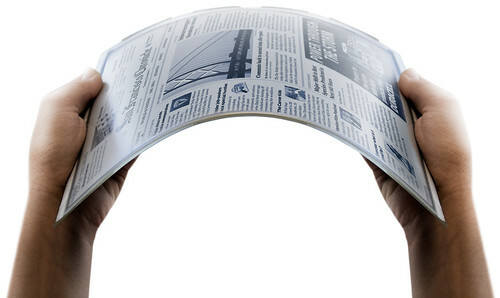 It’s just over 1/4” thick and touts itself as the thinnest e-Reader announced to date. It also has a large 11.5”, 1200x1600 pixel (UXGA) display that is touchscreen. Weight is just over 1 pound.